After the launch of the Google Pixel 3 and Google Pixel 3 XL, a lot of fans have been waiting for the Google Pixel 3 Lite. The device has now been spotted alongside some other popular smartphones like the original Pixel model and some iPhones. The latest bunch of leaked images has shown the Pixel 3 Lite next to the iPhone 5s and the Nokia 3310. This comes just after we saw an image of the Pixel 3 Lite next to the Pixel 3. 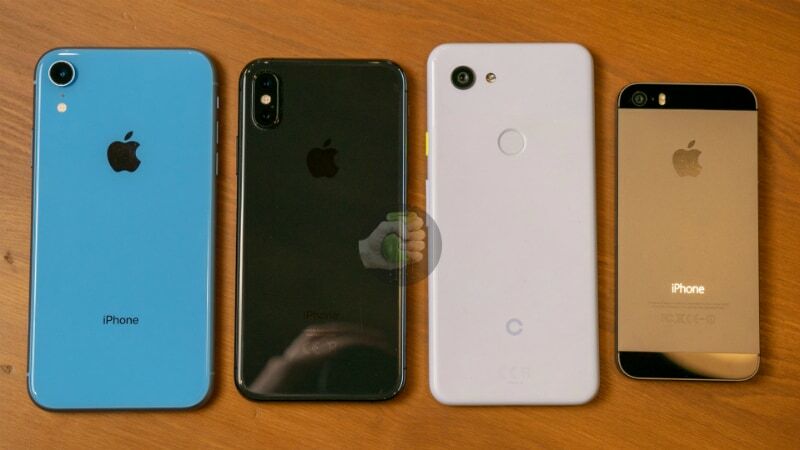 The images showing the alleged Google Pixel 3 Lite alongside other renowned models was leaked by Russian source Wylsa. In one of the images, the Pixel 3 Lite is seen to have nearly the same dimensions as the original Pixel. 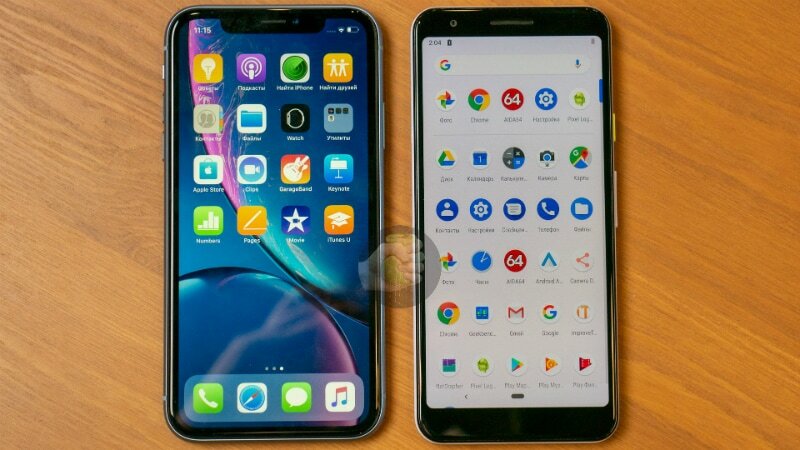 The leaked device has a traditional panel – without any notch. From the images, the Pixel 3 Lite is also seen to match the height of the iPhone XR while the iPhone XS is smaller in size. The iPhone 5s is the smallest among them. 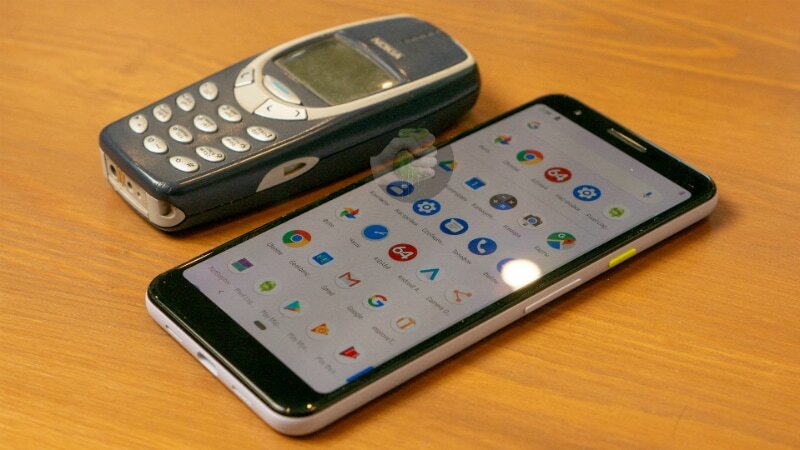 In addition to these is an image of the alleged Pixel 3 Lite next to the original Nokia 3310. Obviously, the 3310 is much smaller than the Pixel 3 Lite. From the images of the rumored Pixel 3 Lite, some features have been seen. The device will come with a 3.5mm headphone jack and a rear-facing fingerprint sensor. The phone comes with a plastic build. The Pixel 3 Lite is expected to come with a 5.56-inch Full HD+ IPS display with an aspect ratio of 18.5:9. The screen has a resolution of 1080×2220 pixels and a pixel density of 444ppi. Rumor has it that the device will come with an octa-core Qualcomm Snapdragon 670 SoC with Adreno 615 GPU. It is said to come with 4GB of RAM and 32GB of internal storage. The device could run Android Pie out-of-the-box. It is expected to be powered by a 2,915mAh battery with support for Qualcomm’s Quick Charge 4+. The Pixel 3 Lite – codenamed “Sargo” – is expected to launch with a price tag somewhere between $400 (about 145,000 Naira) and $500 (about 182,000 Naira).